On episode 5 of the podcast, curator Jamie Stoner of the Allegheny-Kiski Valley Historical Society and Heritage Museum talks with Kevin Farkas, founder and executive producer of the Veteran Voices of Pittsburgh Oral History Initiative–a nonprofit educational organization whose mission is to capture, preserve, and share the stories of veterans with a Western Pennsylvania connection. 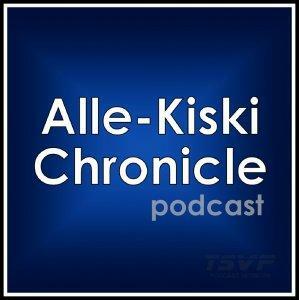 Veteran Voices of Pittsburgh has partnered with the AKVHS to record the stories of veterans of the lower Allegheny Valley region, and it also produces Alle-Kiski Chronicle, the official podcast of the Allegheny-Kiski Valley Historical Society and Heritage Museum. Recorded August 13, 2016 at the Allegheny-Kiski Valley Historical Society and Heritage Museum, Tarentum, Pennsylvania. Host: Jamie Stoner. Guest: Kevin Farkas. Audiography: Bryan Chemini & Kevin Farkas/Veteran Voices of Pittsburgh Oral History Initiative.